Real Madrid warmed up for the Champions League final with a 3-1 win at home over Espanyol, Gareth Bale grabbing his 21st goal of the season and Alvaro Morata scoring a brace in the final five minutes. 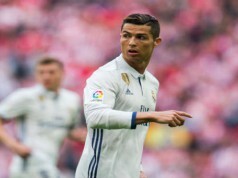 But Madridistas around with world will be waiting for news about Cristiano Ronaldo’s fitness after the 29-year-old pulled out of the match after feeling discomfort in the warm up, casting doubt about whether he will be ready for the clash with Atletico de Madrid on May 24. On a warm, sunny day in Madrid, the hosts never really looked like breaking the deadlock in the opening 45 minutes. Sergio Ramos, enjoying a goalscoring run of late, was probably the most energetic in the home side, looking to get forward when he could and even offering his services when it came to free kick duty. Indeed, on the half hour mark, the defender came closest to opening the scoring, his effort just skimming past the post. Karim Benzema was denied shortly afterwards by a fingertip Kiko Casilla save. Espanyol, who had a terrible record at the Santiago Bernabeu coming into this match, could have taken the lead just before the break when Simao’s effort went just over the bar having taken a deflection off Daniel Carvajal. Ancelotti took the right-back off at the interval, with next week’s Champions League final in mind, and introduced Alvaro Arbeloa. The second period started quietly too, with Madrid looking content to conserve their energy level for the bigger test ahead. Indeed, Ancelotti continued to keep the final in mind when he took off Asier Illarramendi just after the hour mark and replaced him with Luka Modric. A minute later the hosts were ahead. Catching Espanyol on the break, Karim Benzema played through Gareth Bale who finished off low past the keeper with his right foot. Twenty minutes from time, Benzema was taken off looking like he had a groin problem, and was replaced with Alvaro Morata. And the young forward, linked with a move away from the club, showed he can be worthy replacement to be called up when his sent a low right footed effort past Casilla from the centre of the penalty area having been assisted by Angel di Maria. 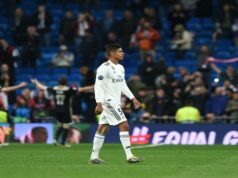 Espanyol pulled a goal back with a minute to play when Pizzi converted a cross by Sergio Garcia, but there was still time for Madrid to go down the other end and score. 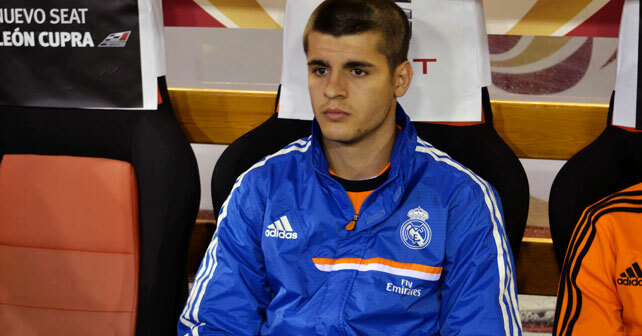 The visitors were once again caught on the break and Morata finished off the move, assisted by Angel di Maria. With the La Liga campaign now over, the attention now is very much on Lisbon next weekend.